Ecert Basic builds on Ecert® – a generic and modular work flow based audit, certification, CRM and management tool for certification bodies, which is in use globally. The software has been reduced to a lighter version that is suitable for use by groups, and affordable. Ecert Basic is accessible through the internet. Thus, the installation of the software on every single computer of the producer group administration is avoided, and the system is easily maintained and updated centrally. The system is hosted by a professional data processing centre with excellent bandwidth and capacity. 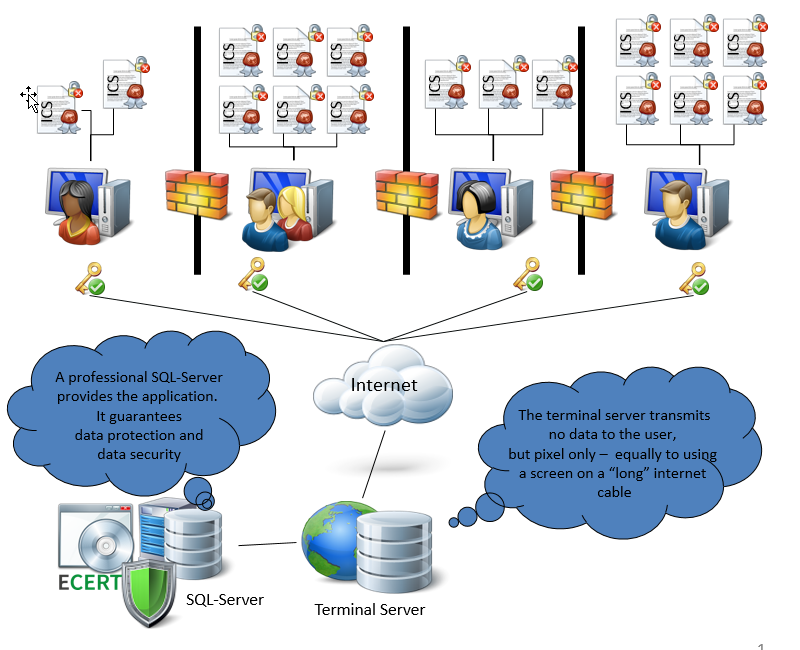 The multi-client system guarantees full data security and data separation. Each party can see its own data only, while having access to up to date technology and full functionality of the system. Different user roles enable different views and rights on data or functionalities. The system is flexible and can be implemented with specific settings for every producer group.